Designed to induce extreme relaxation and overwhelming cuteness, Purr was a solution to our personal cat allergy problems. 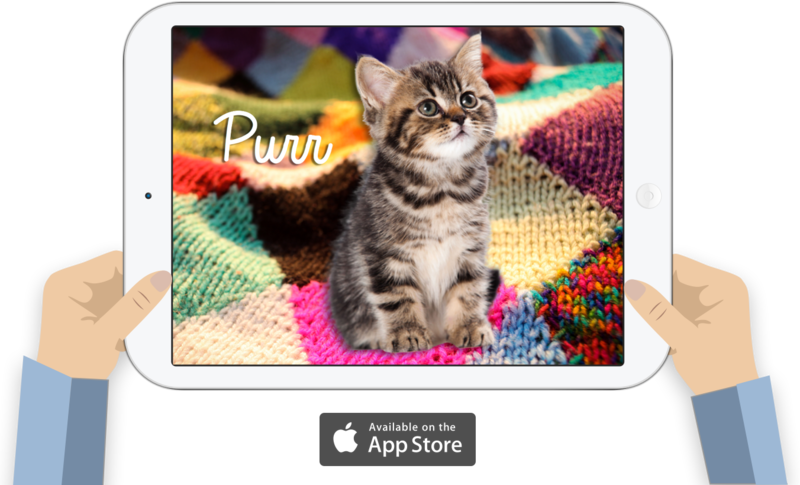 As avid cat lovers we wanted an app for all cat lovers. An all-around feel good app. With 5 adorable cats to choose from, there is no doubt that you'll find your future pocket pal, sans-allergies. Stay tuned for future updates and new additions to the Purr family.